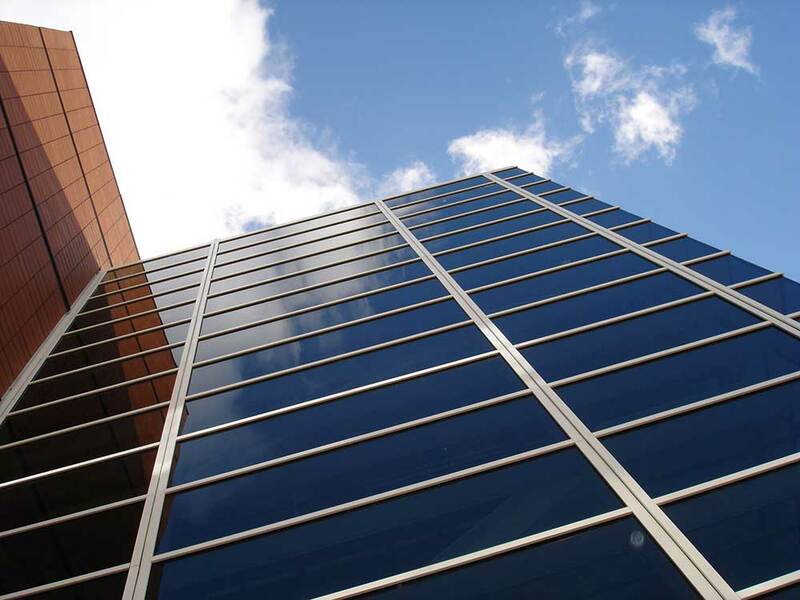 Due to the high static values of our steel profiles, large unsupported areas of glazing can be achieved. The system has been used for 4 metre wide grids and unassisted spans of up to 8 metres. Wrightstyle’s large span systems give unique opportunities in bespoke glazing design. In the case of Ocean Terminal* in Leith (pictured above) the glazed span is over 16 metres in height, with the largest individual free span of over 10 metres. 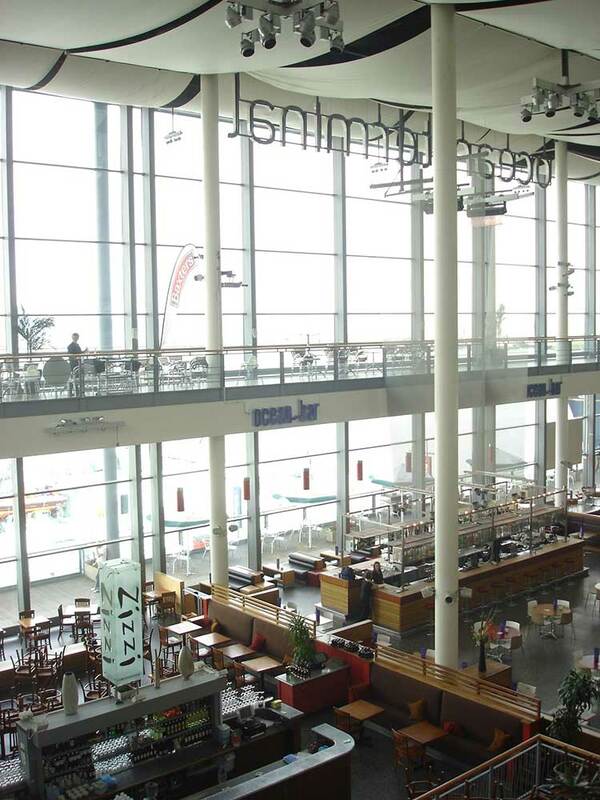 Our large span curtain wall facades have the strength to accommodate glass panes weighing up to 450kg. 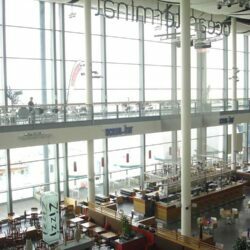 Steel large span systems offer exceptional glazing solutions in aesthetic architectural designs, giving the architect and designer greater freedom. 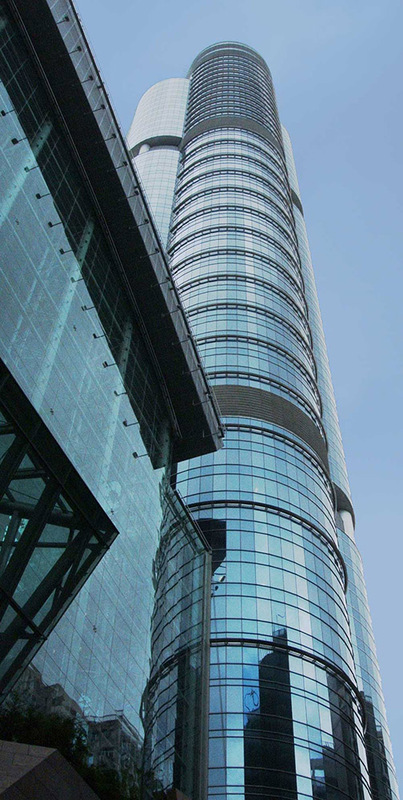 Large span curtain wall with high wind loadings. 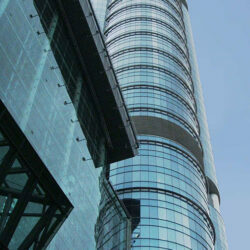 The large span curtain wall facade is also more than capable of coping with high wind loadings. 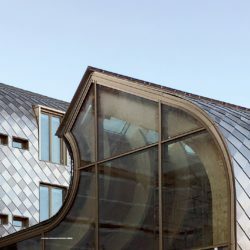 A significant architectural trend is towards larger spans of glass but without the visual intrusion of transoms. 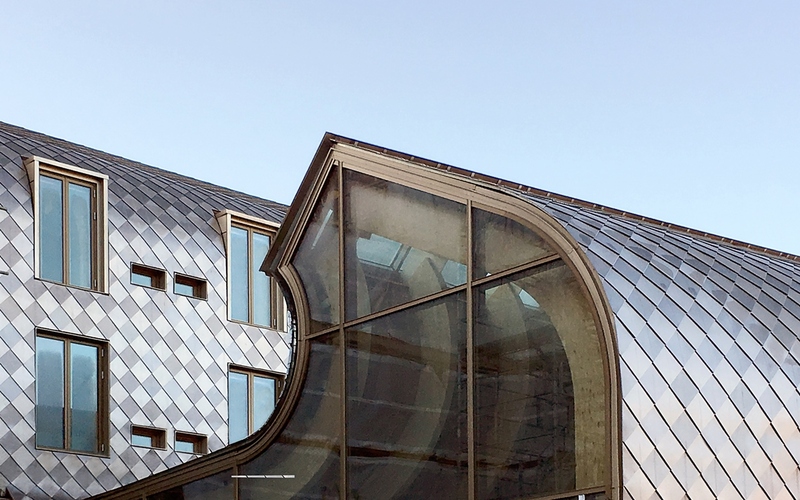 We understand the needs of specifiers and we work closely with customers, both here and overseas, to make sure that our steel glazing systems are at the forefront in meeting their requirements, without compromising the safety of the systems. 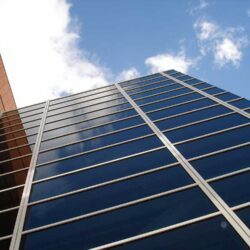 For more technical information download the Curtain Wall Data Sheet at the bottom of this page. If you have a project specific enquiry and would like some assistance, just call the office and ask for the technical department. 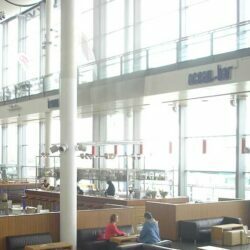 *Ocean Terminal – the system also had to accommodate support to the canopy columns on the outside, have handrails on the inside and tolerate the high wind loading of 1950 Pa. This fabulous building was completed in 2016 and features our SR series curtain wall – large span with radii – with stunning effect. 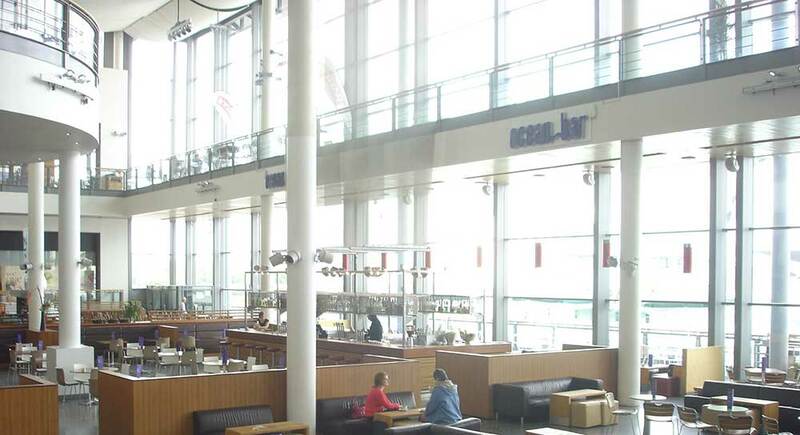 WSL SR60 Series Curtain Walling for large span with multiple frame options. Fire resistant glazing which gasket glazed and in stick format. The system is self draining and has slim sight-lines.